A beautiful design by Alexia Sotelo in collaboration with Figgy's Patterns. This dress will appease the most feminine of girls. 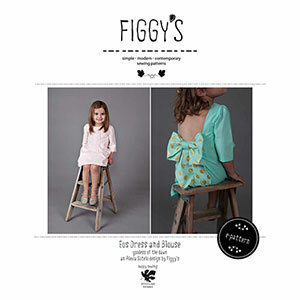 A fully lined garment with 9 perfectly placed pin tucks and an adorable back scoop adorned with the most gorgeous of bows. Pattern size range is 18 months through 9 years. 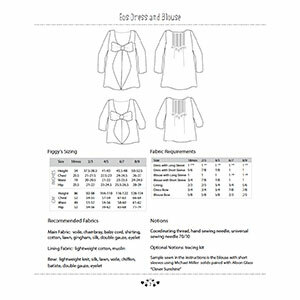 Recommended fabrics are light to mid weight knits, peach skin, crepe de chine or rayon challis.